This article follows on from two others, Neuroscience, Gurdjieff and Buddhism, and The Opposing Viewpoint, and I assume that readers of this are familiar with their contents. It would seem that we have two spiritual traditions which say opposing things, those which deny the existence of the self, and those which don’t. A relevant question is therefore, is one of them right, or are they really saying the same thing and the different interpretation is merely apparent, a question of semantics? The doctrine of no-self is most frequently stated in relation to Buddhism. 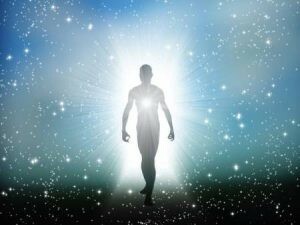 In the second article I suggested that a candidate for a continuous self was the incarnating soul, and that reincarnation and out-of-body experiences are evidence for its existence. Buddhism believes in reincarnation, its goal being freedom from the cycle of death and rebirth. One of its primary texts, The Tibetan Book of the Dead, offers guidance to the individual on how to achieve this liberation at death. So who is this individual reincarnating entity being offered this advice? Why not call it the permanent self? As evidence for the non-existence of a permanent self Walker says: “I was never the same for more than a few minutes, and yet I had the effrontery to preface many of my remarks with such misleading phrases as ‘I always think that…’ or ‘I am convinced that…’ What nonsense!”; “one inner state quickly followed another”; he refers to “the instability within me”. Hardy goes on to say: “The image often used in psychosynthesis is that of an orchestra. The subpersonalities are all the instruments, the potential of music. But they may be playing chaotically. Some sections may be completely out of tune. Some may not be prepared to play at all. It is only as we become aware of the centrality of the conductor, the ‘I’, that we can begin to see the parts as a coherent whole…” (p37). Let’s now compare this with the thoughts of Kenneth Walker. Although he strongly endorses the Buddhist belief of no-self in his chapter 5, in a previous chapter he had expressed himself in the language of Psychosynthesis, which does believe in a self. He presumably didn’t think that he was contradicting himself. He even uses the same image of the orchestra: “A properly balanced man, working as he should work, resembled a well-trained orchestra, in which one kind of instrument took the lead at one moment of the performance and another instrument at another, each making its contribution to the symphony being played” (p25). He complains about “the absence of any conductor of the orchestra” (p26). How could there be one, however, if the self does not exist? he says: “Whereas I had no proof at all of the existence within me of any permanent thing which underwent changes I had plenty of evidence of the existence in me of change itself” (p73). Who is this ‘I’ and ‘me’ which has evidence of change, and also the ability to remember it, if not a continuous self? having said “the thing which we have previously taken to be a ‘self’ always turns out to be nothing more than a sequence of perception, and surely this psychic procession within us, which never remains for one moment stationary but is always on the move, is quite unworthy of being accepted as a permanent self or soul”, he follows this immediately with: “This does not, of course, preclude the possibility of something else more lasting, existing beneath all the superficial layer of psychic rubbish we call ourselves” (p74). What is this “something else more lasting”, if not a continuous self? he advocates self-observation, saying that “we should register or take note of our thoughts, emotions and sensations at the moment of their occurrence” (p27). He also says that “we might struggle to get rid of some personal quality…” (p29), and makes several other similar statements. So who is this ‘we’, if there is no self? It seems clear that when Walker says that there is no self, he does not mean that there is no permanent, continuous entity, rather that there is no fixed personality. I am not sure whether he believes the observing ‘I’ is permanent, but he talks in the language of Psychosynthesis, and refers approvingly to “the observing I”, the Hindu concept of “the Witness” (p44). When I published the first article in this series on Medium.com, Jack Preston King, who knows a thing or two about Gurdjieff, posted this comment: “Gurdjieff, in my experience, did not really teach ‘no self’ in the same sense Buddhism does. His view was more like the Hindu idea of Atman I’ve been writing about elsewhere. Gurdjieff’s term was ‘Essence’. On the level of ego, we indeed have many ‘Is’ that claim the throne in turn, and we mostly don’t notice all the switching. Freud and Jung would agree with this. Until we begin to work on ourselves, we are mostly ruled by unconscious complexes. The ‘work’ of the Gurdjieff Work is a long process of establishing one of those transitory ‘Is’, the one most capable of pursuing transformation, and making it ‘the driver’. The driver’s job is to calm the horse (emotions), get the cart under control (the body, everyday life,) all in anticipation of the awakening of the ‘royal passenger’, the Essence. While our inner and outer lives are a chaotic jumble, Essence sleeps. When we bring our inner and outer lives into alignment, and create an environment friendly to the growth of Essence, it wakes up and begins to grow. By this process, Gurdjieff taught, we are enabled to ‘grow a soul’, we’re not born with one. We’re born with the seed of a soul, Essence. A soul in potentia. But that Essence/seed is our true self, which we can fulfill or waste, depending on our effort. So there is a true self in Gurdjieff’s system, a difference from Buddhism. That’s how I understand it, anyway”. So here we have ideas almost identical with Psychosynthesis; the ‘driver’ or ‘Essence’ is the equivalent of the orchestra conductor. The only unresolved question is whether we are born with this Essence/soul, or whether it grows and develops as life progresses. Practically speaking, it is not important to know; provided we are becoming this driver and doing its work, the result is presumably the same. For those of us more philosophically minded, who like to get to the truth of things, it remains an important question. As I stated in my second article in this series, I believe that reincarnation and out-of-body experiences are evidence in favour of a permanent self (soul). I assume that every human on the planet is a reincarnated soul, even if Walker considers most of them to be sleeping machines. OOBs often occur at the time of near-death experiences, and I don’t think that these are restricted to those people who have done significant work on themselves in Gurdjieff’s sense. I am therefore not convinced that we are born with merely “the seed of a soul”. I would say, rather, that we are born as a soul, albeit in deep unconsciousness, whose purpose is to grow. Perhaps this is again just a question of semantics. At the very least, I would suggest that Gurdjieff’s view, as understood by Jack Preston King, is a minority among spiritual traditions. This therefore leaves only materialist (neuro)scientists as those advocating no-self. Although the words seem the same, it is now clear that they are not saying the same thing as Buddhists. Theirs is a desperate attempt to claim that the material world is the only reality, and that anything apparently psychological or non-material is an accidental by-product of it. There is probably no point in arguing with them, although we might suggest that the entity in them arguing that the self does not exist, according to them does not exist. So why should we listen to anything they say? (2) And Carl Jung refers to autonomous complexes, and the ego-complex rather than the ego.